An exciting full-color storybook featuring the DC Super Friends™—plus an eye-catching lenticular cover! The Joker and Lex Luthor team up to take down Batman™, Superman™, and the rest of the high-flying DC Super Friends™! 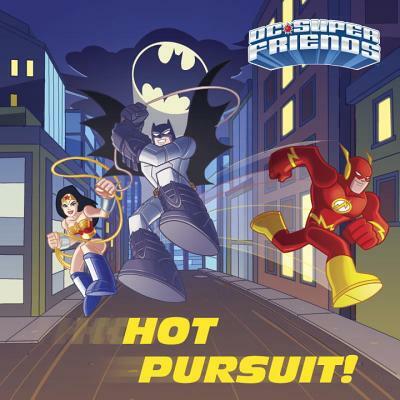 Boys and girls ages 3 to 7 will love this action-packed DC Super Friends™ storybook which features an eye-catching lenticular cover that makes it appear as though the heroes are really racing to the rescue! DC Super Friends™ is a unique brand that gives preschoolers their very own versions of the World’s Greatest Super Heroes from DC Comics: Superman™, Batman™, Wonder Woman™, Aquaman™, The Flash™, Cyborg™, Hawkman™, and Green Lantern™.